Moreover, while hotels, admittedly, were somewhat slow to adopt self-service technology at the onset, the guest demand for self-service solutions have reached a fever pitch. 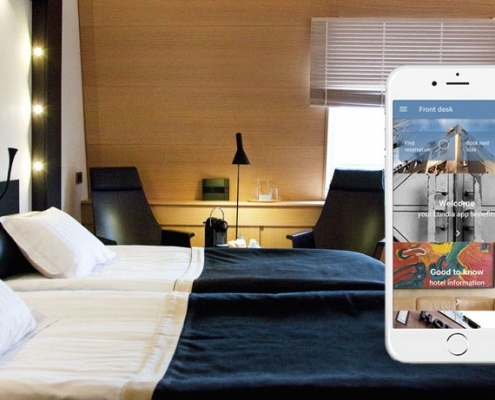 With the help of self-service technology, hotels can empower their digital-savvy guests with a more convenient and personalized experience, while also reducing human error and reducing operational load. In fact, Allied Market Research predicts that the self-service tech market will exceed $31 billion by 2020 thanks to retail chains, banking, and healthcare industries integrating self-service kiosks as a part of their customer engagement strategy. So it’s not just customers who are eager to see the implementation of more self-service functionality across touch-points – adoption of a self-service model boasts mutual benefit to consumers and brands alike. 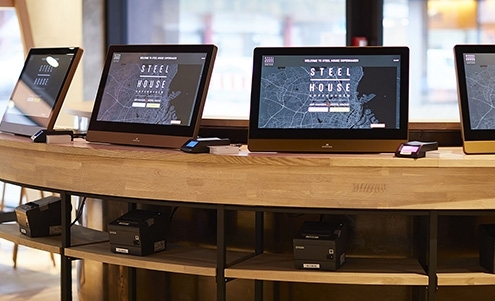 Hoteliers, especially, are aptly realizing the potential benefit of kiosks, mobile app (and more) to streamline operational processes, reduce overhead and reveal new revenue opportunities. Of course, the hospitality industry is rooted in tradition – the provision of a high-touch, guest-centric experience as delivered by caring, attentive staff who make guests feel at ‘home.’ While the human touch of the hospitality experience will never be replaced, the subsequent need for a low-touch, self-service experience is equally undeniable. Why? Because the utilization of self-service technology does not negate the human, high-touch experience; instead, it should enhance it by empowering staff to focus on those interactions and touch points that matter most. It’s also important to recognize that the desire for self-service functionality is primarily derived from the demand for convenience. The option to streamline or accelerate specific touch points can be viewed as equal in value to other classic elements of the customer service model. In fact, research shows that 77 percent of US consumers consider “valuing my time” as the most critical part of good customer service. 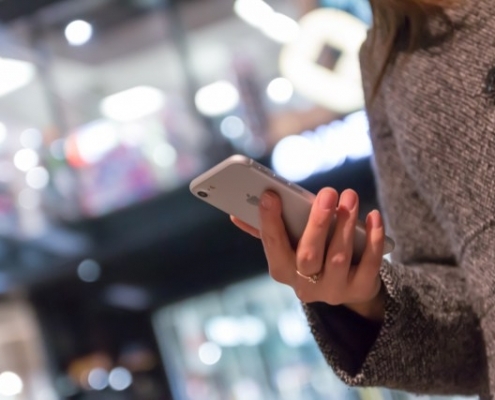 Further, about 73 percent of 526 shoppers surveyed in a recent study said they prefer retail self-service technologies, such as self-checkout, over-engaging with store associates. Oracle also reports that on average, guests using digital key rate a hotel 7 points higher than key card guests with 84 percent of guests likely to use digital keys again. 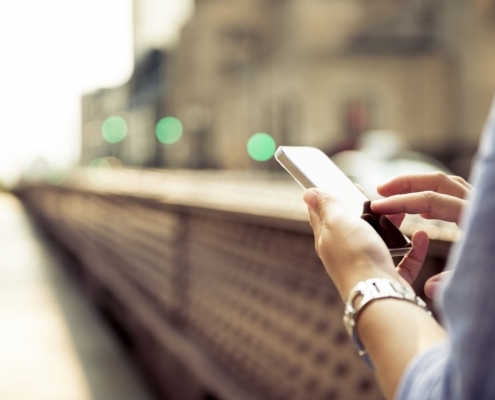 Not only that, but 94 percent of business travelers and 80% of leisure travelers expressed interest in using mobile guest apps or smartphones to request service and message hotel staff. So, what does this self-service model look like in action, within a hotel property? Self-service functionality presents itself in many forms – from hotel apps to check-in/out kiosks, mobile concierge, mobile room keys and more. Having this technology available to guests at your hotel ensures you cater to all traveler profiles – those who are averse to digital solutions will opt for the traditional experience, and those who are digitally savvy and convenience driven will utilize those new platforms. 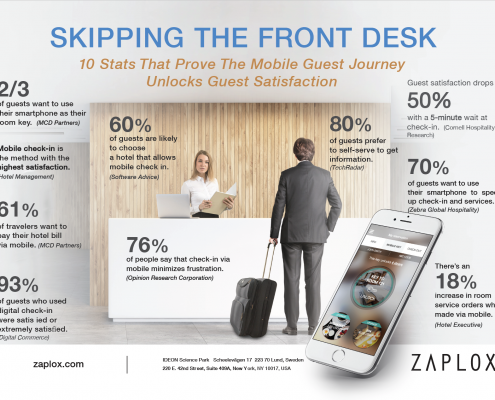 Some recent studies found that 76 percent of the more than 1,000 guests polled think being able to check in before arriving would alleviate frustration, and 41 percent of guests said they would be more likely to select a hotel that offers advanced check-in via web or mobile device. The traditional headaches of hospitality – front desk lines, misplaced or defective room keys, waiting to make an appointment with concierge – can finally become a thing of the past. With these common problems minimized or remedied entirely, staff is free to perform their job more effectively, attending to those guests who prefer hands-on service to a self-service approach. With these common problems minimized or remedied entirely, staff is free to perform their job more effectively, attending to those guests who prefer hands-on service to a self-service approach. Aside from alleviating those common hospitality headaches, self-service technology also creates a unique (and rather compelling) opportunity for enhanced revenue generation. Firstly, a mobile app or kiosk never forgets to upsell, and the self-service environment allows guests to interact more freely (without perceived pressure from an in-person associate). Not quite convinced? Fast food chains have been experimenting with kiosks for a while, and McDonald’s noted a 30 percent increase in the average check size when customers ordered from a kiosk. Not only that, but research also showed that a seven-second reduction in service times in fast food restaurants could increase the company’s market share by 1 to 3 percent. Fortunately for hoteliers, the technology now exists to equip hotel properties with self-service kiosks that are custom branded to each hotel while effectively managing check-in/out, mobile keys, payments, custom offers and so much more. Not only will hotel properties reduce cost, better utilize staff resources and streamline processes for enhanced guest convenience, but each kiosk is programmed to easily create revenue-generating offers that are customized to each guest segment. Of course, with great potential comes great responsibility – self-service technology can only be effective if, well, it’s effective. 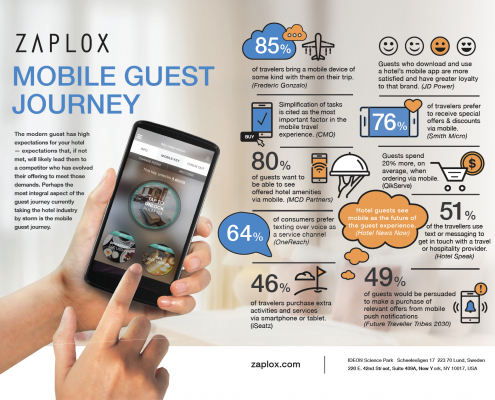 It’s imperative that hoteliers invest in self-service solutions that are dependable, fast and seamless – for every guest, at every touch-point, during every stay.